Can you feel it? Can you see it? Can you smell it? 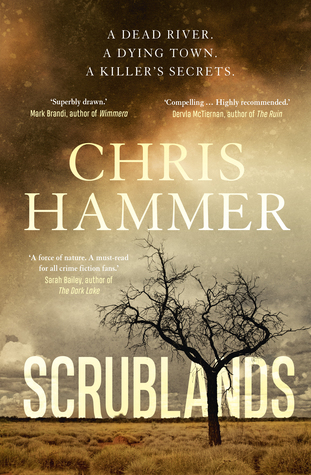 Bush fire engulfing the house… Chris Hammer delivers a crime thriller like no other. The prose is divine, sometimes irreverent which adds a little dose of humour to the read. You will find yourself transported to small rural town Australia, a town fighting to survive, a town and its inhabitants facing pressures from all sides – Mother Nature is not kind, the extreme weather conditions affecting all, the economy is slowly suffocating resilience out of the town. The misdeeds of the past and the present collide to bring out the best and the worst in people. This is a spectacular whydunnit that asks the big questions re history and the information we assimilate daily. Whose account of history are we hearing? Who benefits from this dialogue? Whose agenda is behind this? What /where is the gain? Whose truth are we listening to, influenced by? A fabulous 5 star read – a new author to add to your “Must Read” list and one to add to my “Best of 2018” list. I can’t wait to see this on the big screen and to read what is coming next from this author. This entry was posted in Best Reads of 2018, Book supplied by publisher or author for review, Crime Fiction, Mystery and Thrillers, Post Script: Book Reviews and tagged 5 star read, Aussie Author Challenge 2018, Best Reads of 2018, debut author. Bookmark the permalink. I loved this one too, and gave it 5 stars in my review today. A great new Aussie writer – I wonder what is next?